commented on "CHICKEN AND ROAST VEGETABLE SALAD WITH KASOUNDI AND YOGHURT DRESSING ..."
600g chicken thigh fillets-1tbspn kasoundi-4tbspns greek yoghurt-juice of half a lemon-half a butternut pumpkin-2 large red capsicumS -1 large eggplant-2 red onions-2 medium zucchinis-100 pkt baby spinach-1 bunch coriander-1 400g tin chickpeas-S&Pepper.---Panfry chicken till golden & cooked through, set aside. Preheat oven to 200C and roast capsicums in oil till blackened. Set aside and cover with plastic till cool, then peel off skins. Roast all other vegetables, except spinach in olive oil & s&p till golden. Mix Kasoundi & yoghurt, lemon & s&p. Slice chicken. 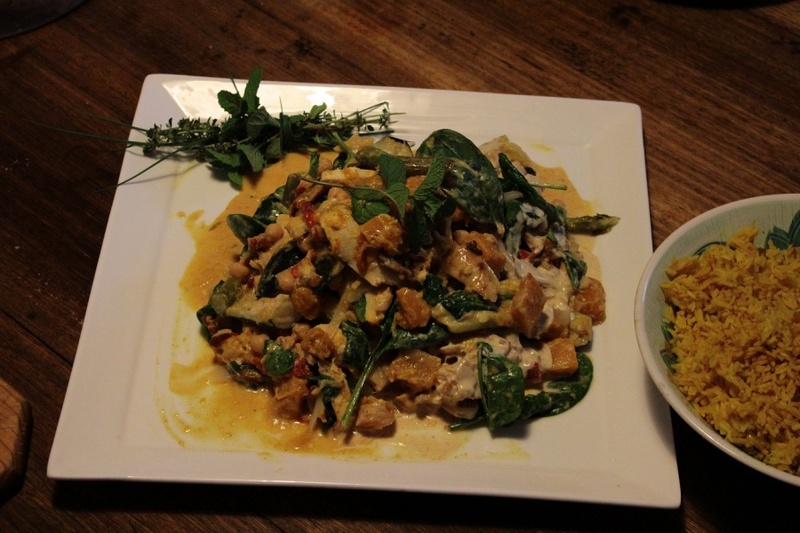 Gently toss everything together, including fresh spinach with dressing, and garnish with fresh coriander.